PAW Patrol has quite a fan following among its target groups. 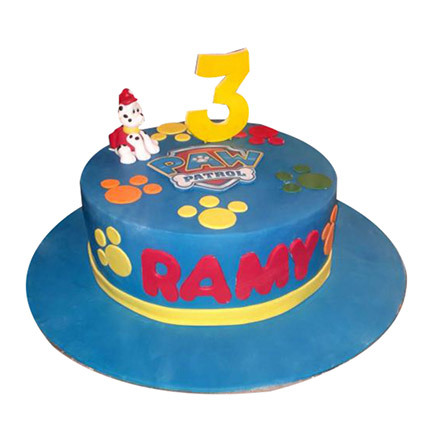 That’s why we have included this character in our tastiest designer fondant cake. The decoration and taste of the cake would keep people mesmerized for a long time. So, for the next birthday occasion, don’t forget to bring in this wonder cake.